Madeline DeVries cultivates strength and fluidity for Alonzo King's works. Photo by Stacy Ebstyne, Courtesy LINES. Madeline DeVries, of Alonzo King LINES Ballet, starts her days with a bike ride or strength work. Warm-up on wheels: Madeline DeVries' commute doubles as a workout. Two or three days a week, the Alonzo King LINES Ballet dancer bikes about seven miles through San Francisco to the studio. "The hardest part is going through Golden Gate Park. There's one uphill section that's always killer," she says. She arrives ready to dance and likes how biking warms up her knees. Courtney Henry and Jeffrey Van Sciver in an Alonzo King LINES Ballet rehearsal. Photos by Kathryn Rummel. Alonzo King’s company digs into the mysteries of movement with boundary-breaking collaborations, including his latest work, a reimagining of Fokine’s Schéhérazade. When LINES Ballet takes the stage, what you see is never simple. Choreographer and founder Alonzo King’s textured work synthesizes diverse influences, creating entangled, explosive movements that have a sinuous grace. The dancers pirouette, crawl and then collapse on each other; shapes are both sculptural and emotional. The dancers themselves, meanwhile, seem fierce and supple, precise yet powerful. That pursuit of “more” goes beyond height. King displays a voracious cultural appetit—collaborating with everyone from martial artists to African tribes. Most recently, he studied historical texts for a new version of Scheherazade, Michel Fokine’s celebrated 1910 creation for the Ballets Russes. King’s piece premiered in December as part of the Monaco Dance Forum’s centennial celebration of Diaghilev’s ground-breaking company, and had its American premiere at Duke University in late January. King began creating dances even before he started his dance training. 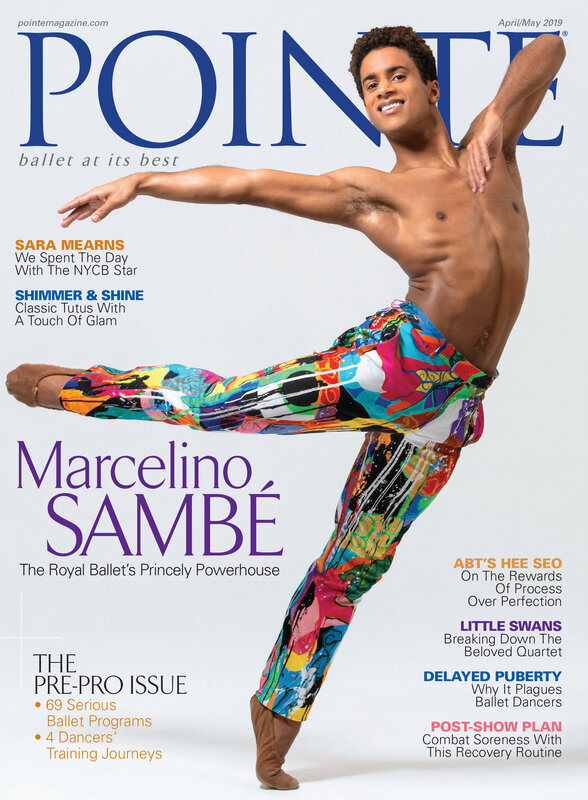 During his performing career with Donald McKayle, Santa Bar­bara Ballet and a number of European companies, he found himself creating work on colleagues, and then for other companies. He founded LINES in 1982 to have “my own kitchen,” as he puts it. When the company expanded seven years later, he created the San Francisco Dance Center in a cavernous building at the gritty edge of downtown San Francisco. LINES has become known for King’s boundary-slicing, cross-pollinated work. In The People of the Forest, he layered sculptural pointework over music and dance from the BaAka tribe of the Central African Republic. And in the acclaimed Long River High Sky, King worked with Shaolin monks, weaving acrobatic tumbles around knife-edged grand battements. Although that broad vision speaks to both King’s palate and his modern sensibility, his dancers also possess the rigorous discipline of a ballet education. Whether the work is on or off pointe, King makes sharp use of their precision and technique. The men and women of his company have graduated from the Joffrey Ballet School, The Ailey School, Pacific Northwest Ballet School, the Kirov Academy of Ballet in D.C. and the Paris Opéra Ballet School, among others. Rachel F. Elson is a writer and the managing editor of CBS MoneyWatch.com. LINES’ New Take on "Schéhérazade"
The Ballets Russes famously emphasized collaboration between choreographers and composers, and Alonzo King’s work with world musicians follows in this tradition. It’s fitting, then, that Alonzo King’s LINES Ballet is scheduled to open the Monaco Dance Forum’s centennial celebration of the Ballets Russes with a reimagining of the historic company’s 1910 Schéhérazade. For his interpretation of the celebrated ballet, premiering in Monte Carlo December 9, King recruited renowned Indian composer Zakir Hussain, who will transcribe Nikolai Rimsky-Korsakov’s original score for ancient and contemporary Persian instruments. 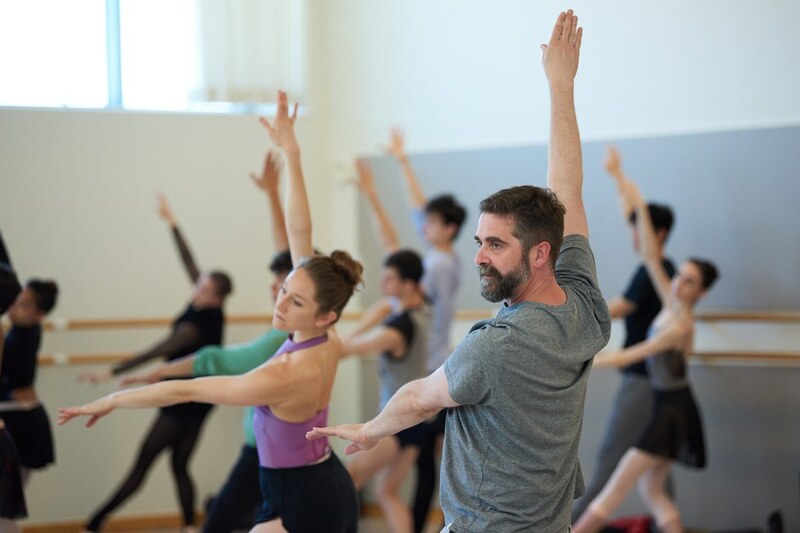 Since the creation of San Francisco–based Alonzo King’s LINES Ballet 23 years ago, its dancers have been a tall, leggy bunch. But these days, the nine company members are more than tall—they look like demigods capable of unearthly pretzeling and rapid-fire, full-body syncopations. For some choreographers, that would be enough. For King, such physicality is only the starting point. “What I’m trying to do is transfer states of consciousness,” he says during a break from rehearsal, his eyes searching the air for the apt words. It isn’t enough to perform a beautiful penché. 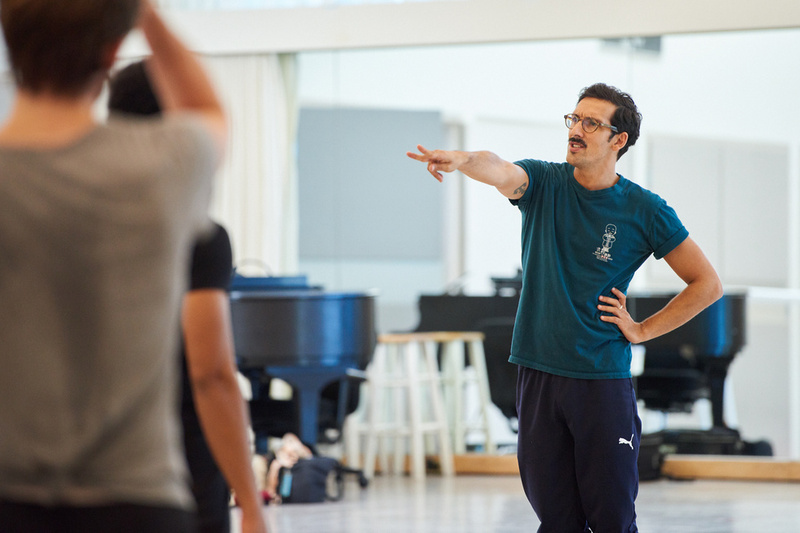 “I want the dancers to become the arabesque, and in order for them to do that I have to leave them alone to follow the ‘roadmap’ of the movement.” That means giving dancers expressive freedom to interpret the steps, phrases and timing from one performance to another, he says. With a roadmap, there is no need for the dancers to emote; the movement itself provokes emotion, because what one feels performing a pencil-point piqué is different than the sensations brought on by a more languorous turn. “Unlike most dance companies that are more concerned with offering gymnastic feats onstage, King recognizes that the purpose of dance is transformative,” wrote Janet Lynn Roseman about LINES in Dance Was Her Religion, her book about the legacy of seminal figures Isadora Duncan, Ruth St. Denis and Martha Graham. As if to confirm this, the warm, 6’2” choreographer is quick to say that it is no accident that the company’s name refers to an unending trajectory through space, or that he has defined his troupe by a fundamental aspect of ballet—the dancer’s line. He is an artist who believes, as painter Mark Rothko put it, that “art must provide the implications to infinity,” not the aggrandizement of the artist’s ego. Implications to infinity abound in King’s 2004 Before the Blues. In this ballet, he takes the ideas of suffering and redemptive freedom that frequently fill his dances and tells an oblique tale about slavery and emancipation. But Blues is also a timeless hymn depicting the struggle to exist and the anguish all human beings experience. As elsewhere, in this ballet King creates a layer cake of symbols through a combination of spare, allusive dance encounters and a rich soundscape. The dance concludes with shimmering baroque music, golden light and Prince Credell dancing like a man redeemed through faith and love. King agrees that “just by learning the phrase, they’re getting a synopsis of the ballet. All the other movement ideas and expositions come from that.” The 15 to 20 dance fragments that slowly emerge are treated like puzzle pieces, which King fits together in ways that the dancers say is always a surprise. But it is not enough to learn one’s own part. The group has to learn each other’s phrases, both to be able to cover for one another and to be completely immersed in the work. Juxtaposed with such thorough responsibility is a certain mystery. The company is often kept in the dark about the title of the work, the music or the name attached to a role until the last moment, says Kerr. She, for instance, had no idea she was the figure of the Sage in King’s 2004 Rite of Spring until she saw the printed program. Had she known, she says, she “might have tried to do something different with the movement” and interfered with the qualities already there. Ann Murphy has been writing about dance for over 20 years for daily, weekly and monthly local and national publications.